Any amount of physical activity can improve your health. Being physically active plays a big role in reducing the risk of developing diseases and maintaining overall health. Many people lead busy lives these days and find it difficult to incorporate exercise into their daily routine. 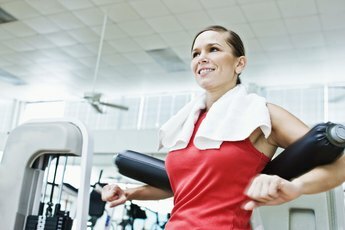 The Centers for Disease Control and Prevention proclaims that performing several short workouts in the course of your day can provide the same results as working out in one long session. The Department of Health and Human Services and the 2008 Physical Activity Guidelines for Americans recommend performing two types of physical activity every week to improve your health. They are aerobic exercise and muscle-strengthening exercises. 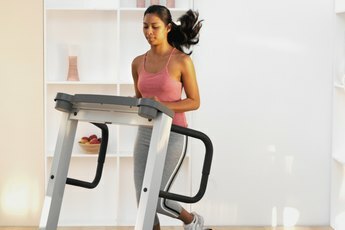 Recommended guidelines for adults include a minimum of 150 minutes a week of moderately intense aerobic activity, such as swimming, brisk walking or mowing the lawn with a push-mower, or 75 minutes a week of vigorously intense aerobic activity, such as jogging, running or aerobic dancing. You can also combine moderate and vigorous aerobic activities. Strength-training activities should be performed at least twice a week. You should include activities that work all of the major muscle groups (arms, legs, chest, abdomen, back, hips and shoulders). Strength training includes using weight machines, or activities like heavy gardening or rock climbing. If your schedule allows, aim for a minimum of 30 minutes of physical activity a day, five days a week. People who have busy lifestyles may find it hard to work out for 30 to 60 minutes at a time. 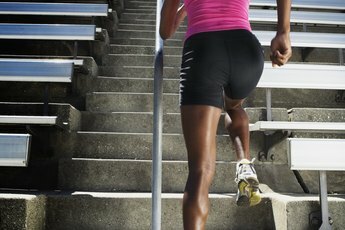 The recommended guidelines suggest spreading out workout times throughout the week. You can split your sessions into 10- or 15-minute increments throughout the course of your day. Exercising for 10 minutes, three times a day or 15 minutes twice a day for five days a week will meet the guidelines of 150 minutes per week as long as your activity is of moderate to vigorous intensity. A study performed by the Western Psychiatric Institute and Clinic, University of Pittsburgh School of Medicine in Pennsylvania concluded that adults who engaged in several short bouts of physical activity a day were more apt to adhere to exercising regularly. Any amount of physical activity (no less than 10 minutes) will provide added benefits to your health. Exercising in several short increments is also easier if you are overweight or obese. You can control your weight with a combination of a healthy eating plan and regular physical activity. The more physically active you are, the more energy or calories your body will burn. One pound of body fat is equivalent to 3,500 calories. In other words, to lose 1 pound, you would have to burn 3,500 calories more than you take in. Weight loss is better achieved by controlling your diet. Physical activity is better in preventing weight gain and helps control your weight. Whether you exercise for 30 minutes or 15 minutes at a time, weight loss can be achieved as long as more calories are burned than consumed. Calorie expenditures vary from person to person. Some people may need to be more physically active than others in order to reach or maintain a healthy body weight. For instance, you may need to do more than 150 minutes of moderate-intensity aerobic activity per week to maintain your weight. 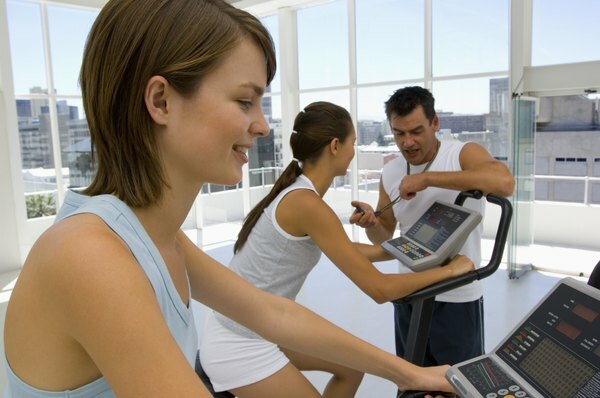 Calories burned also depends on the type of activity, intensity level and your specific situation. Everyone, regardless of age, race, shape or size, can acquire the health benefits that are associated with daily physical activity. The length of the activity, whether it is 10-, 15- or 30-minutes long, does not matter as long as the total time is at least 150 to 300 minutes per week. The benefits of physical activity consist of weight loss, weight management, strengthening your muscles and bones, lower cholesterol, lower blood pressure, increased energy level and improved mental health and mood. Other benefits include a reduced risk of cardiovascular disease, some cancers, type 2 diabetes, metabolic disorders and obesity, and an increased chance of living longer. Another benefit for older adults is improved ability to perform regular daily activities and prevention of falls. Avoid being sedentary or inactive to enjoy a better quality of life.